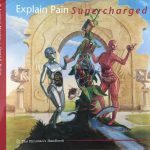 Explain Pain Supercharged, by Lorimer Moseley and David Butler, caught my attention from the moment I picked it up for the first time. As I flipped through the pages, I was intrigued by the illustrations and general layout of the text. The book is written in a different style than a conventional textbook. The paragraphs are kept short and easily consumable. Striking headings introduce each section, while the illustrations are on topic with a hint of humor here and there to drive home the point. The book is written to ‘educate the educator’ about pain, and low and behold we are all educators. This was not what I expected from this book. After reading it, I am convinced that Lorimer and David succeeded in their goal. 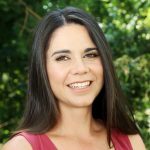 They wanted to link the clinic with the research and ensure that the clinician involved in treating a patient with pain understands the theories, biology, evidence, concepts, research, and language of pain. Educators in clinics need to develop a curriculum for their patients to follow, and two chapters are dedicated to explaining the necessity, competencies, and structures of developing pain curriculums. Thus, as a reader you learn how to devise a thought-out structure to deliver and teach all that you have learned about pain to your patients. 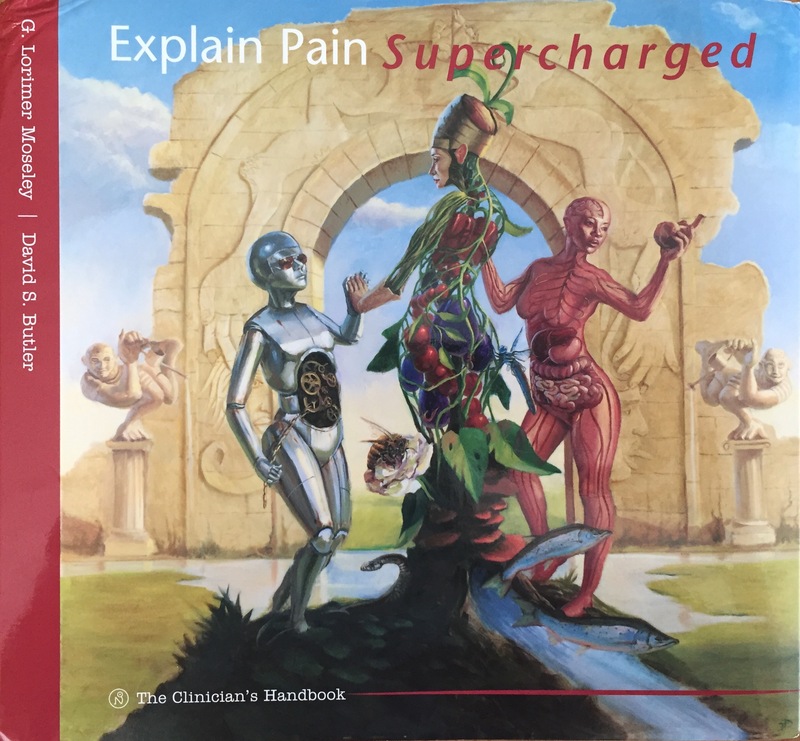 At the end of Explain Pain Supercharged, the authors provide four curriculum examples in table format to assist the reader in developing their own curriculum for different scenarios. While reading through the longer chapters, especially the ones about pain theories and pain biology, the authors were able to keep my attention by scattering pieces of extra information and witty remarks on the pages. This helped me to think about the text and to give me a way of remembering the information, while also giving me a catchy way to deliver the message to someone else. The authors explain theories and research terminology in an easy-to-understand way. They also give a personal edge to the book by referring to events and happenings in their own lives. Difficult concepts and the meaning of abbreviations are repeated and explained throughout each chapter. This will make it easier for the person who only wants to read a chapter or two. But I will definitely recommend reading the entire book. The ring binder format of the book might not be to everyone’s taste, but it provided me with an easy, and comfortable read. The authors made a point to explain why they include certain information and research in the book, and also why they decided to leave some details out. References are given for further reading into the omitted information, and links to other resources and YouTube videos are also given to enhance the reader’s knowledge in specific areas. Published research, as well as current ongoing research studies, are discussed. Throughout the book, the reader is reminded to revisit previous chapters and familiarize themselves again with the concepts and pain theories. Short “nuggets”, and longer “novellas” are given in a striking way to explain pain. Explain Pain Supercharged changed the way I view pain by confronting me to review the language I use when talking about pain and healing. The book also gave me ways to better explain pain and to make sure I deconstruct my patient’s (and my own) negative and wrong beliefs about pain. I highly recommend this book to any medical professional (not just those treating chronic pain). Hats off to the authors! Explain Pain Supercharged is for all health professionals treating pain. In this brand new book, Moseley & Butler apply their unique style to take the neuroimmune science of pain further and deeper.